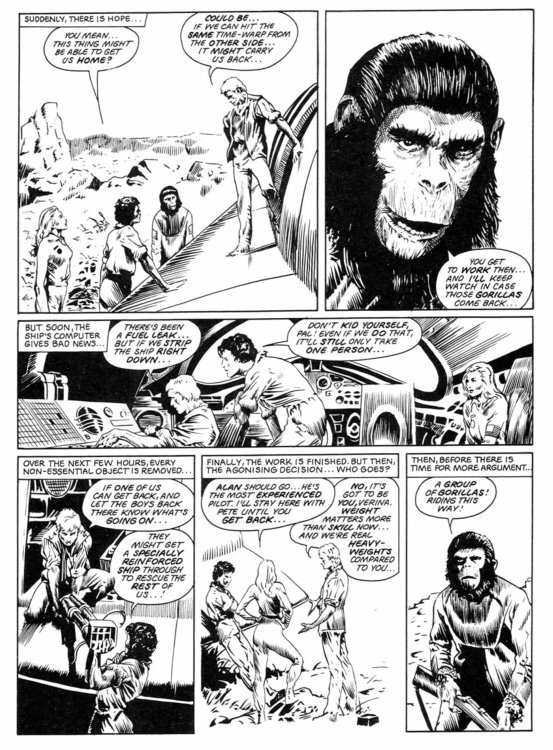 Secret Sanctum of Captain Video: Captain's Library: PLANET OF THE APES "From Out of the Sky"
Captain's Library: PLANET OF THE APES "From Out of the Sky"
...but the British hardcover Annual publishers did, as shown in this strip from the Planet of the Apes 1977 Annual! Though this particular strip is b/w, some of the others were in color. 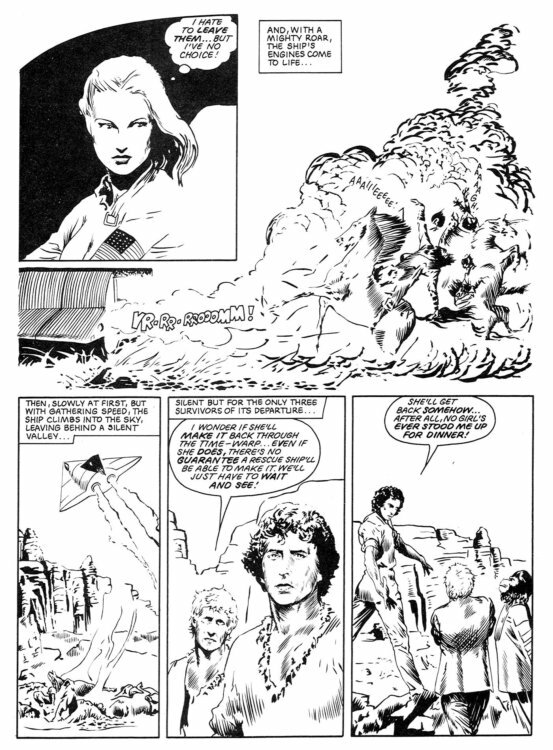 The writer is unknown, but the artist is John Bolton, who also did The Monster Club and One Million Years BC! 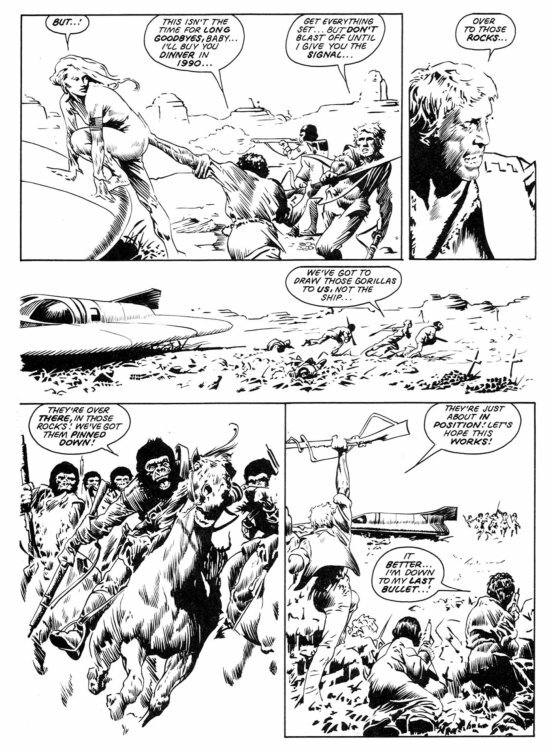 Must confess although I enjoy me some Apes films I am unfamiliar with this comic. 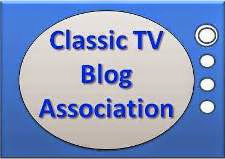 However my main reason for stopping by was to check out your blog as I saw you had recently joined the LAMB. So welcome aboard and congrats, hope to see you on the forums. 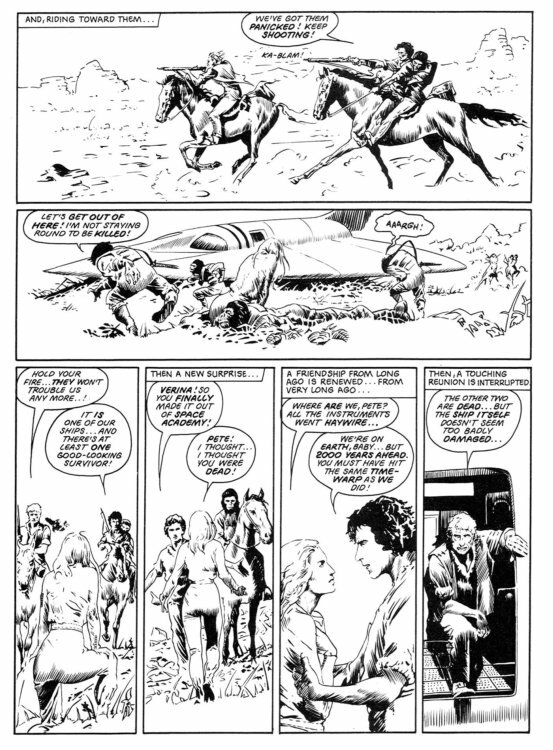 This strip was based on the short-lived 1970s live-action tv series based (loosely) on the events of the original five-film series. In fact, many fans (myself included) consider the tv show to be an alternate-universe take on the movies. It's available on DVD either as a stand-alone set or as part of a mega-set with the five movies, an animated tv series, and extras. 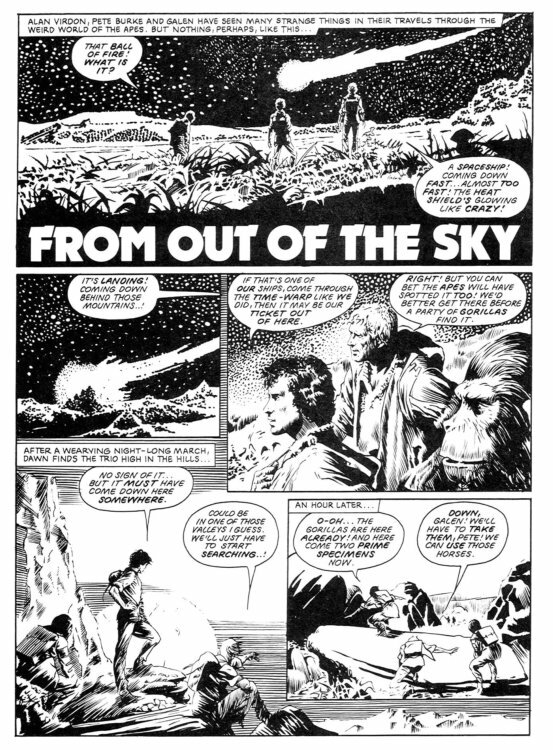 My point was that the Marvel PotA magazine did adaptations of the feature films and new tales set within the movie universe, but never did any stories based on the tv series. This story was from a series of British hardcover annuals that were never reprinted in the US. And, I'll be hitting the LAMB forums soon.